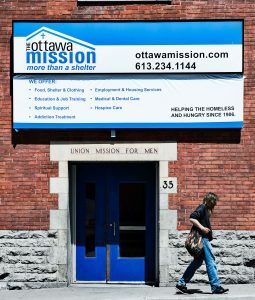 Discover more about the issue of homelessness and the life-changing services at The Ottawa Mission by attending our 2017 Speakers Series held once a month this spring at our shelter. The next session is on Monday, April 24 @ 7:00 p.m., and will feature a presentation by Erin Dej, with the Canadian Observatory on Homelessness at York University. She received her doctorate in Criminology from the University of Ottawa. Her area of research includes homelessness, mental health, and autonomy among homeless men and women. The session takes place in The Ottawa Mission’s dining room at 35 Waller Street. Refreshments will be served.